So happy the weekend is almost near! This has been a crazy week! Yesterday, I stayed home with a sick kiddo, so I had time to make a pretty nice dinner for the family. I bought some chicken breasts that were on sale last weekend, and I have been trying to think of a new way to make them. 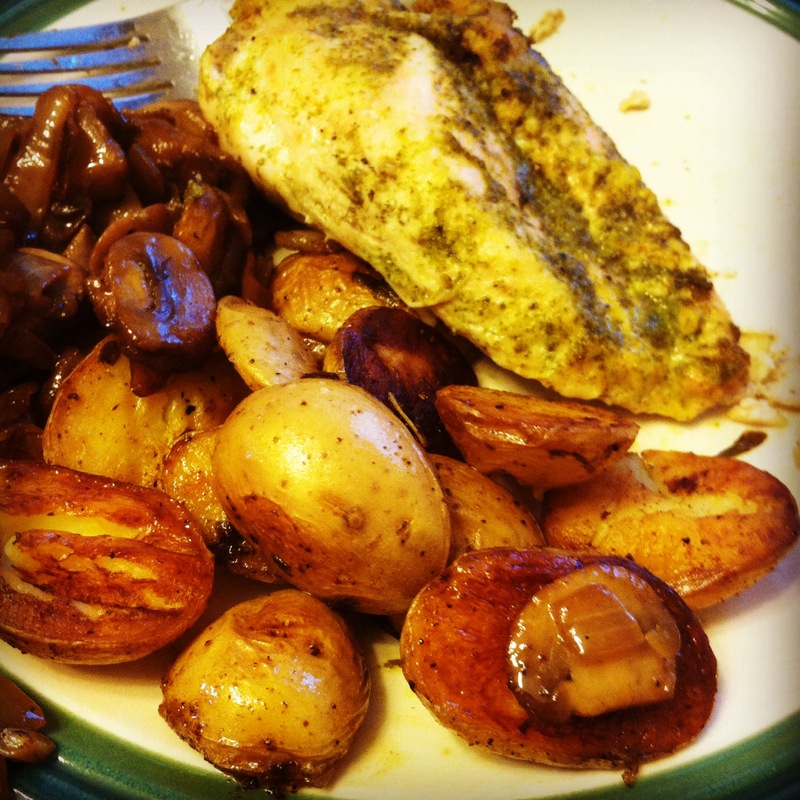 I feel like sometimes I get in a rut with chicken, so I started researching some ideas on Pinterest, cooking blogs, magazines, and cookbooks. Then I was watching The Chew and I saw a recipe where they made herb butter and rubbed it under the skin of the chicken. Well, I had skinless chicken breasts, but I decided to rub the chicken breast with the herb butter, add a little white wine and olive oil to the pan and bake it in the oven. 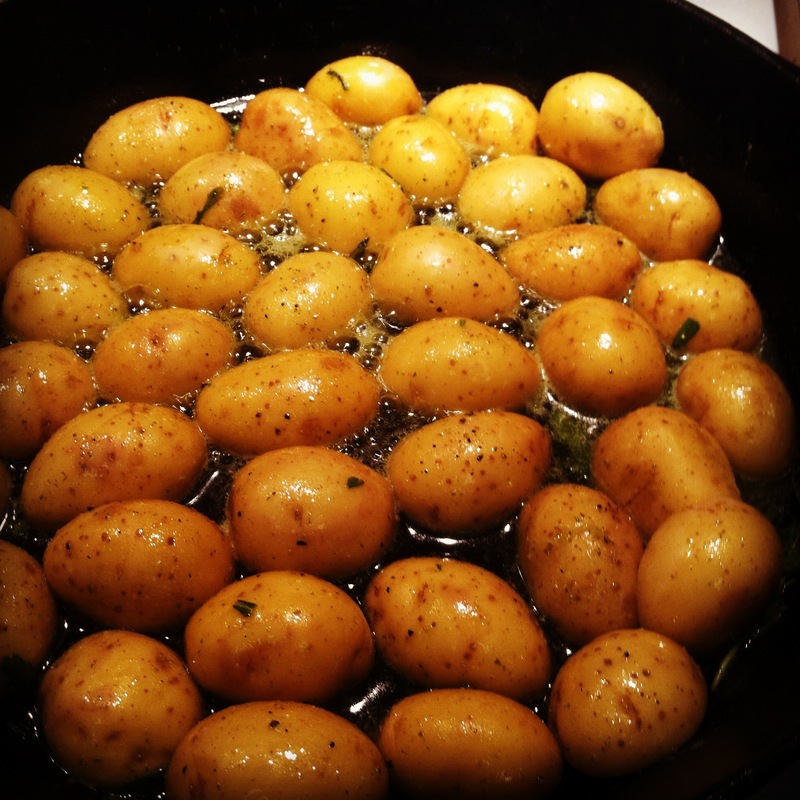 Then I found about half a bag of small yellow potatoes, so decided to cook those in my cast iron skillet with the rest of the herb butter. I needed another veggie, so I sliced up some onions and mushrooms and braised them in a bit of red wine and worcestershire sauce. 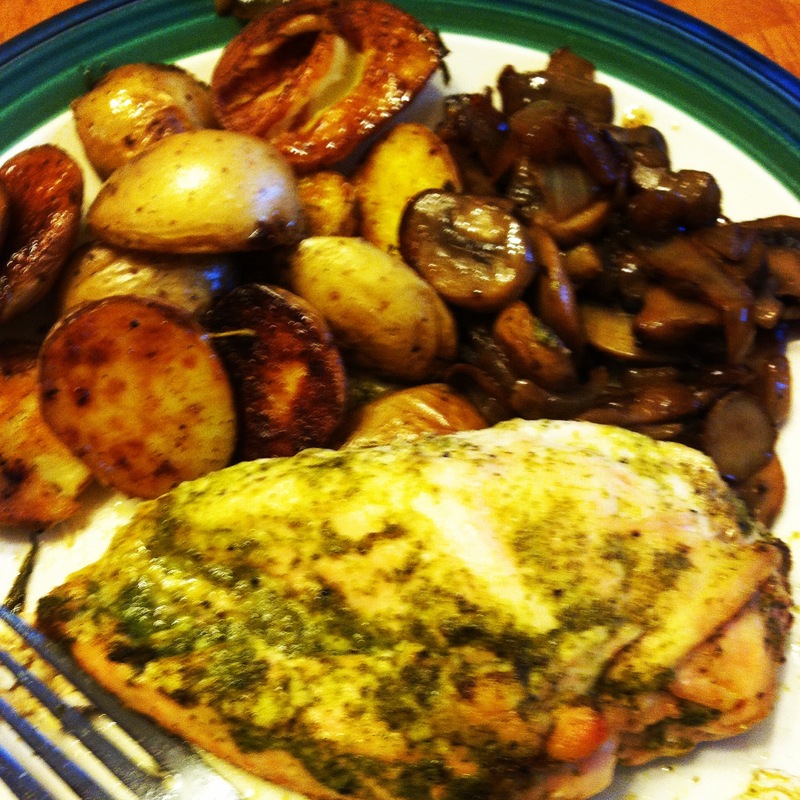 There were no more potatoes or mushrooms leftover, but we do have a couple pieces of chicken leftover. I bet they will be great in a pita with some veggies. Yum!